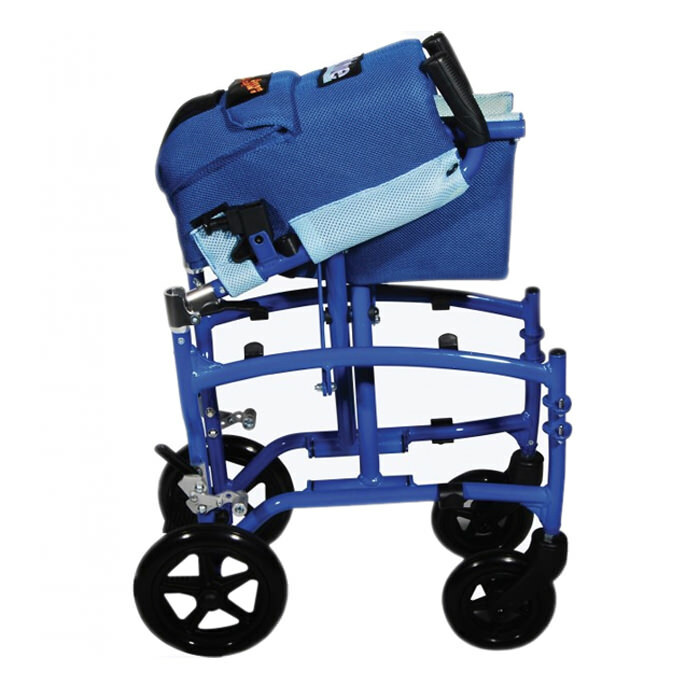 Drive Medical TranSport aluminum wheelchair comes with padded, flip back arms which can be removed, forward folding back and two way back release which allows to push or pull lever. 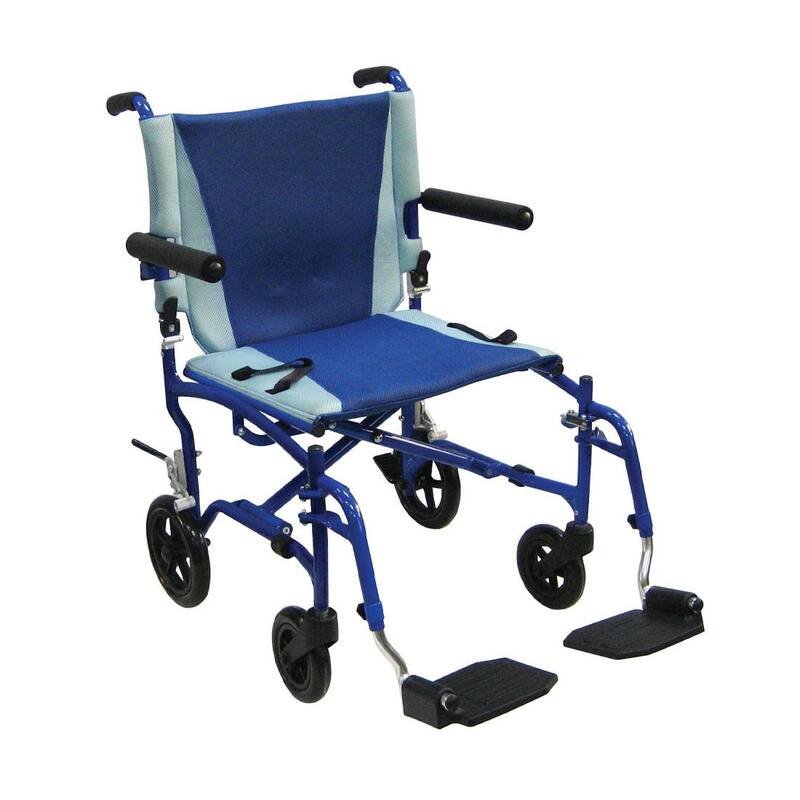 TranSport wheelchair has lightweight and strong aluminum frame with comfortable, lightweight and easy to clean upholstery. 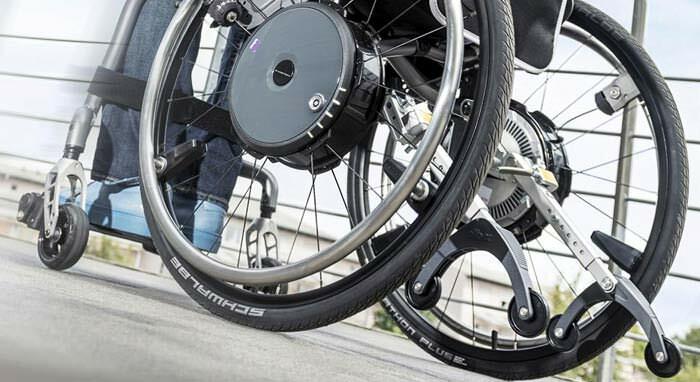 TranSport aluminum wheelchair comes with tool-free height adjustable swing-away footrests and aluminum rear wheel locks. 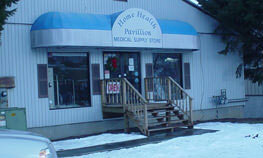 Overall length (with Riggings) 38"